Description: This category contains more strongly flavoured and higher alcohol lagers from the world. Most are dark, but some pale versions are known. Many breweries around the world brew a stronger version of their regular lager. For the US there is the Ice Beer & Malt Liquor, both have a high amount of rice or corn to lighten the flavour. Many European & Asian breweries have a strong lager similar to the Malt Liquor though there is more malt use or it is all malt. Food Pairing: Shellfish, barbeque; spicy dishes, including Cajun and curried dishes; rich, roast meats such as game and pork; and cured meats. Description: A strong, rich, and very malty German lager that can have both pale and dark variants. The darker versions have more richly-developed, deeper malt flavours, while the paler versions have slightly more hops and dryness. History: A Bavarian specialty first brewed in Munich by the monks of St. Francis of Paula. Historical versions were less well-attenuated than modern interpretations, with consequently higher sweetness and lower alcohol levels (and hence was considered “liquid bread” by the monks). The term “doppel (double) bock” was coined by Munich consumers. Many commercial doppelbocks have names ending in “-ator,” either as a tribute to the prototypical Salvator or to take advantage of the beer’s popularity. Traditionally dark brown in colour; paler examples are a more recent development. 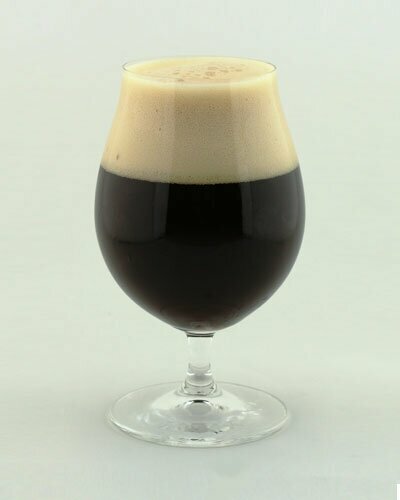 History: A traditional Kulmbach specialty brewed by freezing a doppelbock and removing the ice to concentrate the flavour and alcohol content (as well as any defects). Description: These are essentially stronger versions of pilsners, though the increased malt and alcohol will noticeably reduce the hop accent. Because these are usually all-malt, and comfortably hopped, they are easily distinguishable from malt liquors. Without the malt character of bocks, these are worthy of a style all their own. Imperial Pilsners typically deliver a more pronounced hop character than traditional Czech or German Pilsners. Higher malt levels support fermentation to a higher ABV range, and in some examples the higher hopping balances the malts. Though similar, these lagers go well beyond standard Pilsners in terms of flavour, alcohol and body. History: American craft brewers took a traditional beer style and amped it up – using more malts and hops and brewing to a higher alcohol level – to create Imperial Pilsner. An unofficial beer style, it continues to evolve through individual brewers’ interpretations.